Tarun Gupta January 5th, 2018 Search Engine Optimization no comments. Currently, we are hearing a lot of buzz about Mobile First Indexing (MFI). The obvious reason is that Google is now moving toward final implementation of the idea to make the web more mobile-friendly. However, marketers have multiple questions around the Mobile First Indexing that they need answers for. The article is a quick compilation of some of those quirky yet significant questions and their straight forward answers. As the name implies, it’s a process of giving preference to the mobile version of a website into Google Index. That means, with Mobile-first indexing, Google is now making a mobile version of your websites first priority for indexing, and search rankings. Lately, if you have monitored your traffic metric, there are two things to notice- one, spike in traffic from Smartphone Googlebot, and two, more pages from the mobile version in the cached page repository. 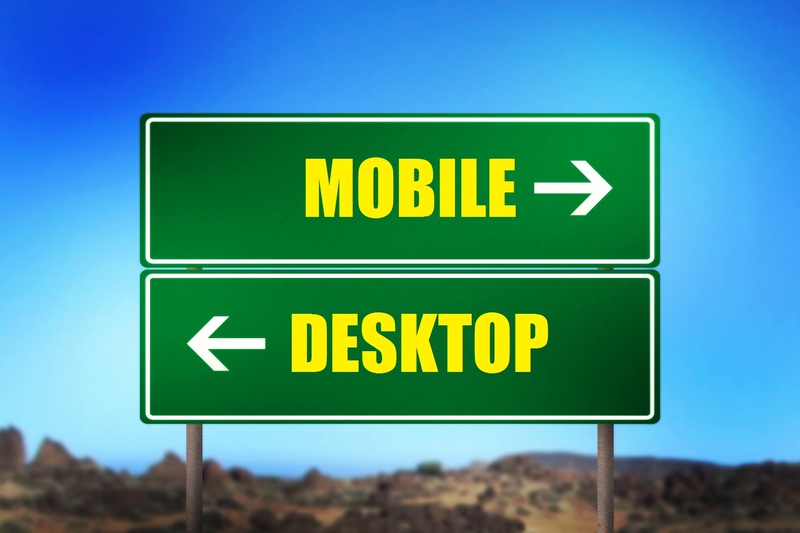 Don’t confuse Mobile-first with Mobile-only. If your website doesn’t have a mobile version, Google will keep including your desktop version of the website in the index. However, not having a mobile-friendly website could hurt user-experience and can eventually lead to ranking drop. Do note that sites that offer better mobile experience would potentially receive a rankings boost. “Mobile-First” literally indicates that now onward Google will be considering a mobile website as the primary version of your website. Therefore, if both of your websites (desktop and mobile) are you’ve optimized well and if you use responsive design, MFI won’t have any significant impact in terms of your site’s performance in search results. 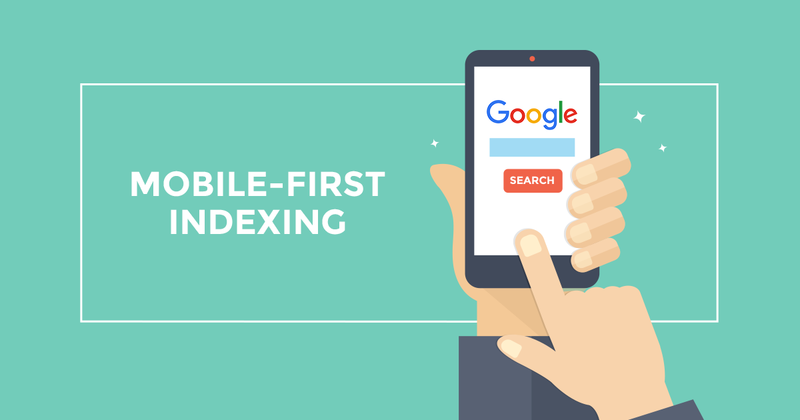 What you need to do for Mobile-first Indexing? The first and foremost thing to do: Don’t get in panic mode, stay calm. As of now, Google is in the early phase of testing of the change with websites which search engine giant considers being “ready” for this change. In Google’s latest Mobile-first rulebook, it’s said that you needn’t do anything to comply with the change if a website is responsive or has identical desktop and mobile versions. If you’ve a separate mobile site, you must check the following components to check if they are in compliance with Google’s latest guidelines. If you have a separate mobile site, make sure it has all the high-quality, valuable content (text, videos and images) that’s available on your desktop site. You should also make sure that the content format used on the mobile version is crawlable and indexable. You should also ensure that the structured data markup on both the mobile and desktop versions of the sites is same. URLs being shown within the structured data on mobile pages must be the mobile version of the URL. Don’t adding vague unnecessary structured data if it isn’t needed or irrelevant. To be in line with Google guidelines, you may still want to optimize your mobile titles for shorter character counts. However, make sure that the information is same and keywords are relevant. In case you’re using rel=hreflang for internationalization, make sure your mobile URLs' hreflang annotations are pointing to the mobile version of your country or language variants, and similarly your desktop URLs should point to the desktop versions. If you’re using OpenGraph tags, Twitter cards and other social metadata, use them on both mobile and desktop versions of the website. If you haven’t yet verified your mobile website in Google Search Console, add and verify it ASAP. 1. Mobile-first Indexing doesn’t create separate mobile index. 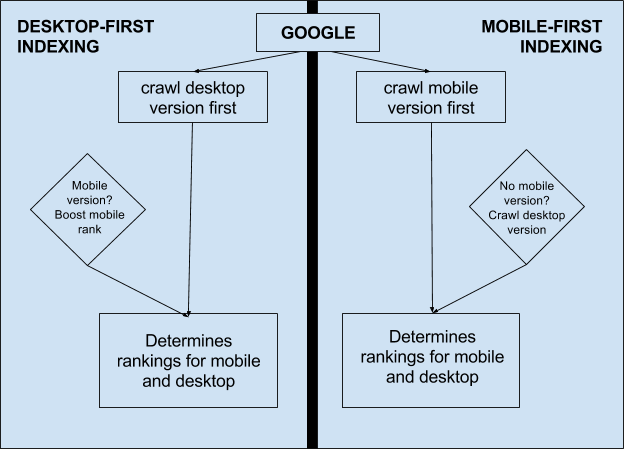 To note, change to mobile first indexing neither generates a fresh index, nor creates a separate mobile index. 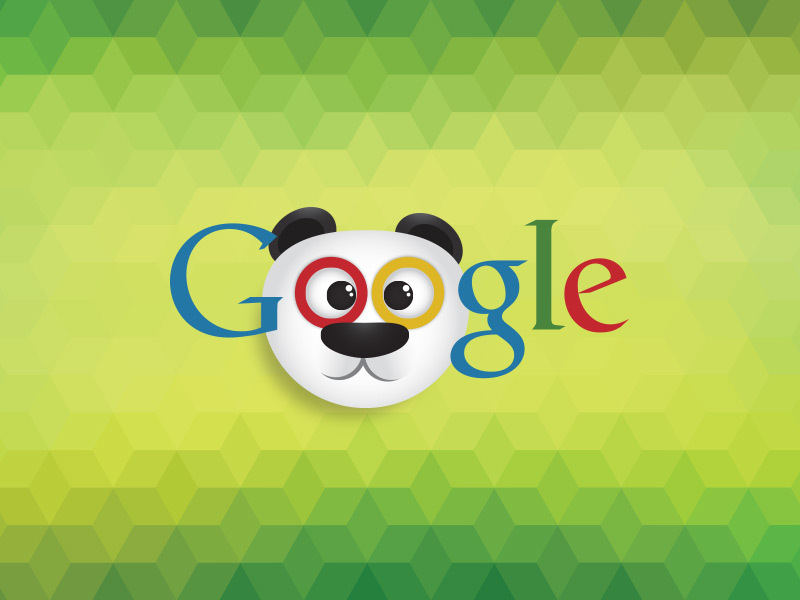 It only alters the Google adds content to the existing index. 2. The change is being tested and will take time for complete rollout. As stated, Google has been testing this with a select group of sites which the search engine found ready for the rollout on their end. Even Google once made that it will probably take a few years to switch to mobile-only indexing mode. 3. Mobile-first Index won’t be only ranking signal. Mobile-first index doesn’t necessarily mean that it would be the only signal to determine rankings. There would still be occasions when Google will take desktop version of websites into consideration. That would be in case you if don’t have a mobile version of a page. Since Google hasn’t yet rolled the change completely, you should track both mobile and desktop rankings of your website. 4. Not having a mobile version would affect your site. Unless the change comes into effect, your pages will be indexed as usual. However, if your website doesn’t have a mobile version or your desktop version is not mobile-friendly, you may not rank as well in comparison to mobile-friendly websites. This may even negatively impact your overall rankings on desktop search as well as mobile search results because it will be perceived as having a poorer user experience than other sites (since the crawler will be a “mobile” crawler). 5. If you’ve a responsive site, it’s fine. It’s all about offering clutter free user experience. Google believes that if you have a fully responsive site, you shouldn’t be worried about anything as you already have your desktop content available on your responsive site. All you need to ensure is that you consistently manage to offer a well optimized mobile experience in terms of page speed, load time and navigation. Has this document helped you in having a fair idea of mobile first indexing and its aftermath? Tell us in comment. You can call us on +91-8527795844 if you want us to design a responsive website or if seeking guidance to approach mobile first indexing with confidence.